Struggling 9month old still nursing to sleep. 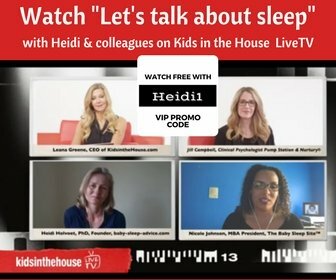 Question: Hi Heidi, I wrote to you some time ago as my daughter will only go to sleep whilst nursing. She was nursing to sleep then sleeping until around 6 in the morning. This has stopped! I am desperately trying to have some routine but it doesn't seem to be working what am I doing wrong?? We then play for a while and have breakfast about 730-800 she eats fairly well at this meal. I then take her up 3 hours after waking we read then I dance and rock her listening to te same four songs. For the last 2 days she has screamed and kicked me so I have taken her up 4 hours after waking and I have to face her outwards looking out of the window she has gone off. I put her down (I was holding her but have stopped that) she will sleep for 30mins- 1 hr. She has a bottle at around 230. She takes anything from 3-7oz. I then take her for another nap around 230-3. Similar experience. We then have tea around 530 this meal is often better. Bath at 6. Then bottle again 3-7oz try stories then she really just wants to feed to sleep I have been trying the taking her off technique but it doesn't seem to be working. She will then wake again in the night anytime from 1030-430. I am starting to become obsessed with her sleep if she sleeps I am over the moon if she doesn't I am tearful. I worry that she will pick up on this. I am also starting to feel like my body has become a dummy and as much as I am happy to do a night time feed until she is a year old I am not a plastic teat. I am also seriously tired as I have been up every night for the last 9 months and I don't begrudge it for a second but I can't catch up on any sleep. If I am holding her and she is crying is that not the same as controlled crying? I absolutely do not want to do controlled crying I have read some terrible about it. Heidi's Answer: Hi Louise, I understand your feelings. It can feel so great to have the little one sleeping, and then when she wakes up early or frequently, you feel sad. It is quite (!) normal and that also means that you can let go. Really, it is normal for a nine month old to sleep a bit less every now and then, or to take short naps, or to have trouble settling for sleep by herself. And it will get better. One important step will be for you to indeed let go, and relax about it. That is of course easily said, but it may not be easy for you. Yet do try. You are right that your little girl is picking it up if you are tense about her sleeping. If you manage to let go, even just a bit, you may notice important changes for the better in her sleep quite quickly. You have your husband's and your mother's help. That is great so do 'use' it well. Don't feel bad about also asking them to look after your girl even when you're not out to work. But take an hour or two whenever you can for yourself. Go out for a walk, listen to some music, read a book, ... whatever you like. If you want, yes do take a nap to catch up on some sleep. But relaxing is even more important right now than sleeping, so make sure you do something you enjoy. Check out the simple relaxation techniques and related pages to help. I will still advise you to keep working with the unlatch and self soothing techniques I suggested. You may need to be a tad faster with tipping up her chin, or wait a bit longer before putting down, ... let me know what exactly is happening (just post a comment below) so we can see what we can do to improve. And then the schedule, good that you have been working on it. For the morning nap, when she kicks and does not want to at all, that could be a sign of being over-tired, rather than not tired enough. So you may want to go for a little earlier, rather than later. Just check for early sleepy signals like staring, losing interest in what's going on around her and the first yawns. That is the right time to start putting her down. Once she yawns a lot, gets cranky/cries or even very very active ... she's beyond a point of readily tired and will have more trouble settling. At the difficult lunch, again relax about it. If she does not eat well, and especially if she cries, stop and don't worry. Or try to have the lunch a little earlier or later. Then about the controlled crying: that refers to letting your baby cry when she is alone. As long as you are holding her, you are with her for protection and reassurance so don't worry about it. Comments for Struggling 9month old still nursing to sleep. My little daughter (now 15 months) went through much of what you're writing in your question. I too felt like a live dummy and naps could be difficult. You say that after breakfast, you keep her up another 3 hours or so before her first nap: in my experience of 3 children, that sounds like a long time. My babies always started to get tired about 2.5 hours after waking. I used to put my youngest down even before she started to show signs of fatigue. Whenever I put her down, my youngest liked that I just stayed in the room with her, quietly, sometimes I used to stand next to her cot, and lay my hand on her face. I didn't seek any eyecontact. Maybe you can give that a go, too. Thank you for your answer I am trying to be more relaxed but have started to do daytime naps in the buggy again not sure if this is a step backwards? With regard to the unlatching as soon as I take her off and pop my finger on her chin she becomes fussy, fidgets and tries to move my hand away until I put her back on. I unlatch her with one finger and put the other under her chin straight away. If you do the stroller walks at regular times and for long enough, and regularly re-try the bed for naps at those same times, you are fine. For the unlatching, just wait a bit longer at first until she's dozed off a bit deeper. Then only when that works consistently, go very gradually to unlatching earlier. Good luck, you'll get there!